The holiday blues are still real. Yes, they’ve lasted forever. Purely because our trip was the most incredible I’ve had. Honestly. I can’t quite believe we started 2019 like that. Rodney Bay is probably the most tourist-y part of the island, yet it’s still pretty serene. 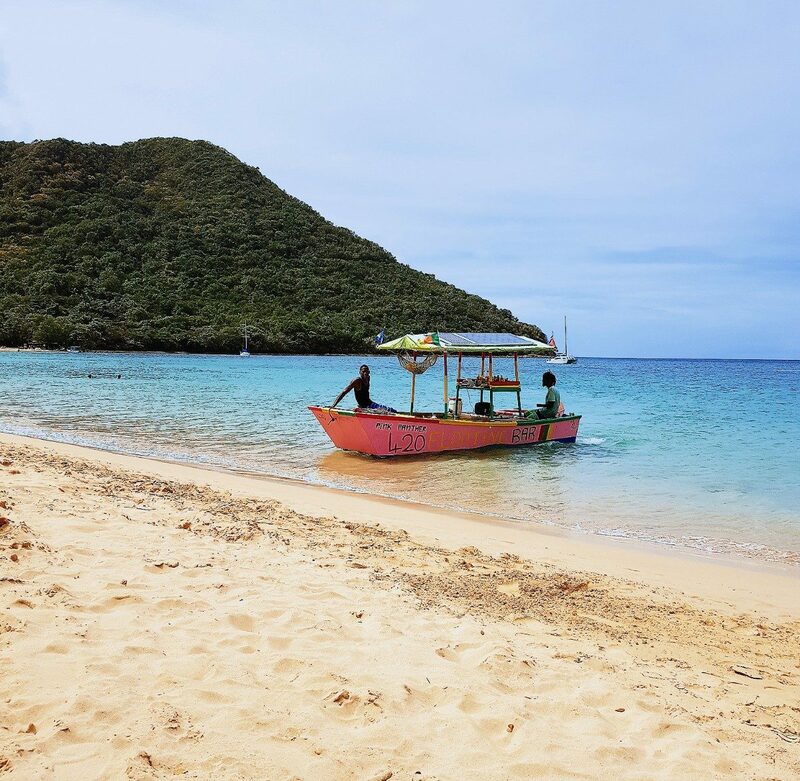 We visited in high season and the beach wasn’t overly busy or crowded, even when the cruise ships were in. It’s one truly stunning beach, and most days the sea is very calm. It’s basically like a swimming pool, yet you can see the fish swimming around. It was still a little chilly though, but perfect for cooling off after laying in the sun. We spent most days here. Settling in in the morning and soaking up the rays all day, reading or just lay chatting about random stuff and laughing. We felt more than comfortable leaving our stuff on the shore whilst we had a little dip too. A handful of sellers trawl up and down the shore to try and offer you coconuts, the odd craft or food. I’ll never forget the ladies who came along with their boxes of rotis, juices, patties and cakes. 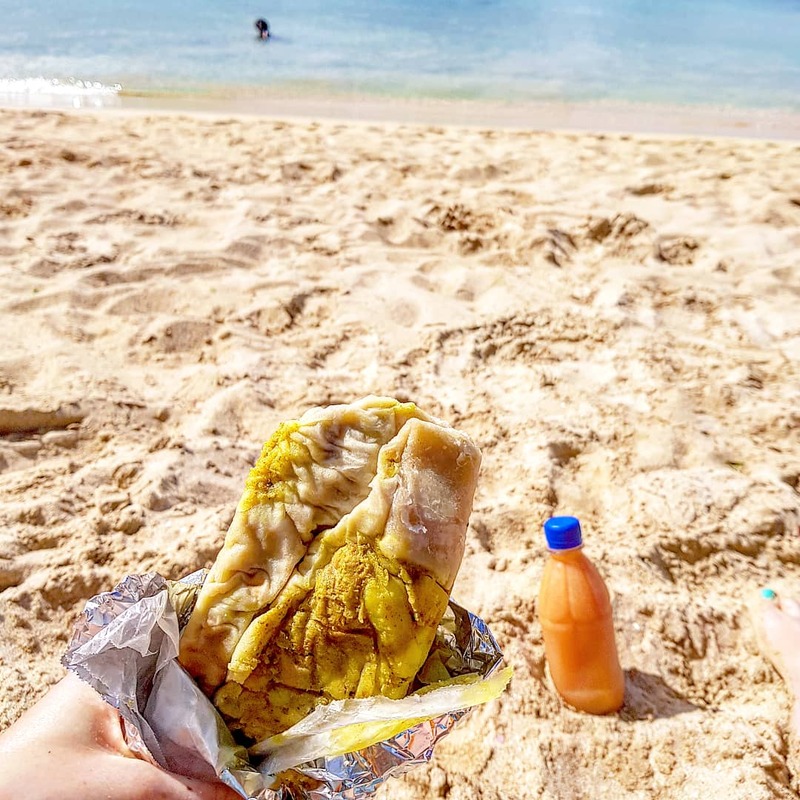 A roti delivered to you on the beach is definitely the best way to do lunch! When we saw the sun starting to set over the hills, that’s when we knew it was time to head back. It does tend to get dark by about 6, so you want to be out early-ish to make the most of the day. After 6pm is when the mosquitoes come out to play, and although we felt safe, we tended not to be out late unless out for a couple of drinks or a dinner. 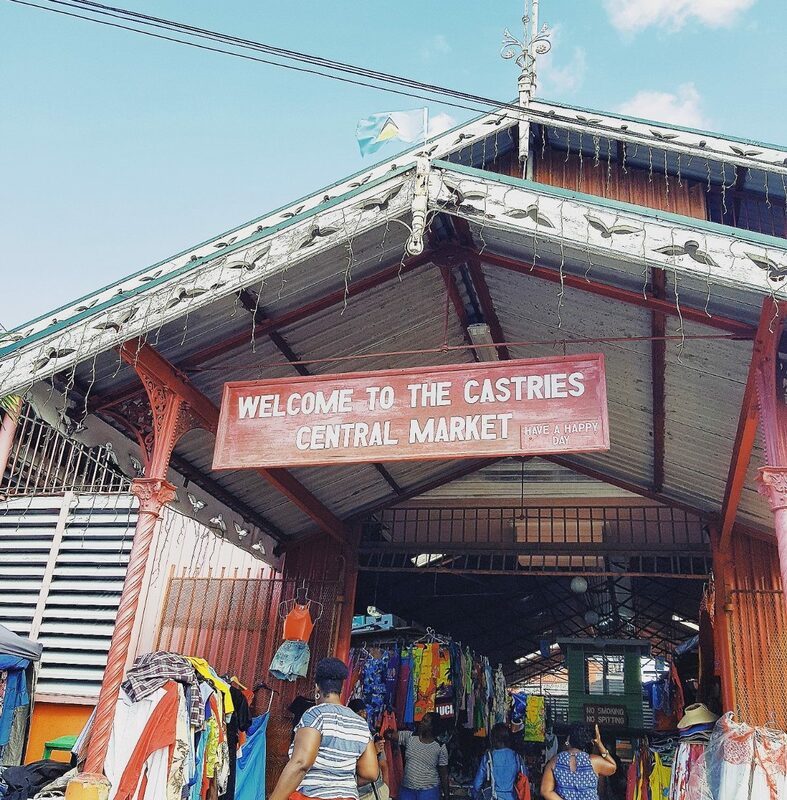 Castries is home to the largest open-air market in St. Lucia, which first launched in the 1890s. From Monday to Saturday you’ll find stalls selling fresh local produce (fruit, veg, herbs & spices), crafts, fashion, food and more. 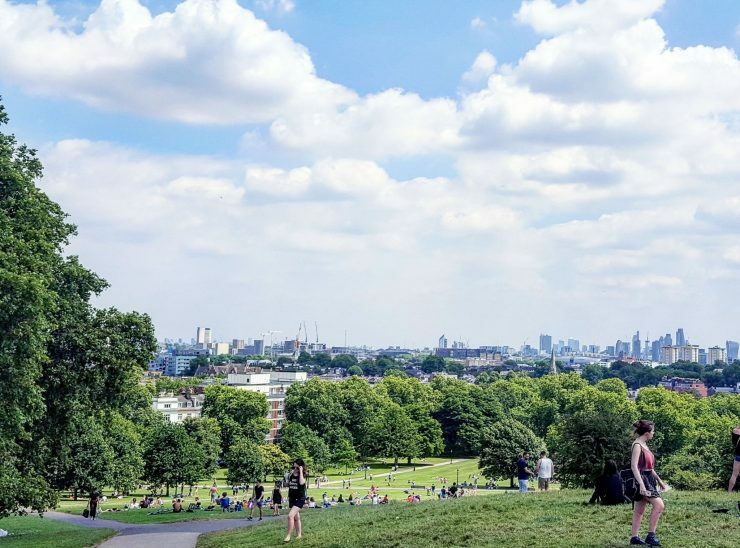 It’s a buzzing, popular location, and definitely makes the must-visit list. 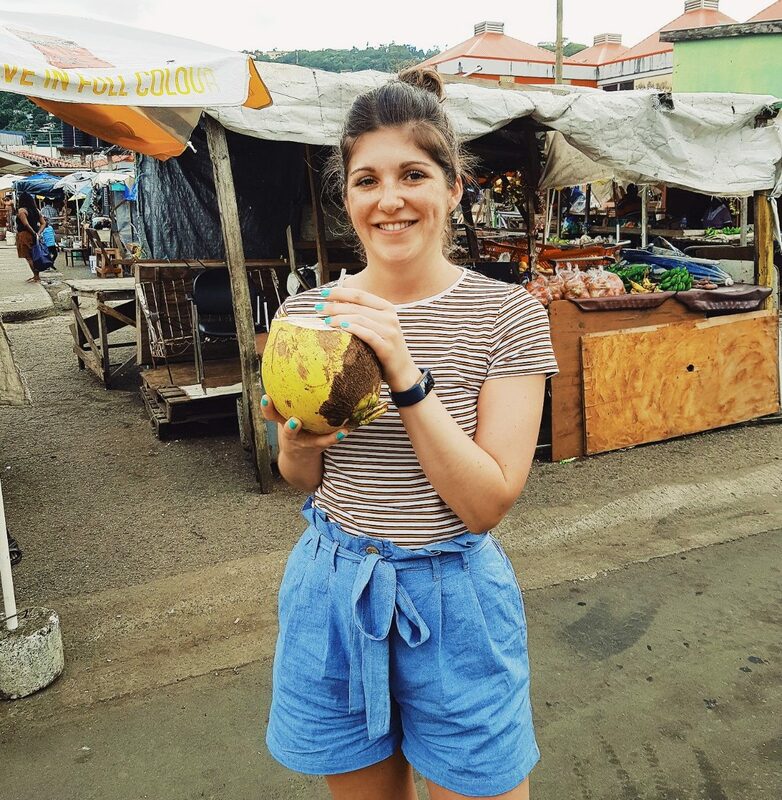 We stopped for fresh coconut water, which was super refreshing (why don’t they do them like that here?! ), as well as some rock buns, in between spending time perusing the stalls for souvenirs. If we’d visited earlier on our holiday, we’d definitely have bought more of the fresh local produce to cook with! You can easily spend a good couple of hours wandering, window shopping and snacking. My advice – go early in the holiday, and go hungry! 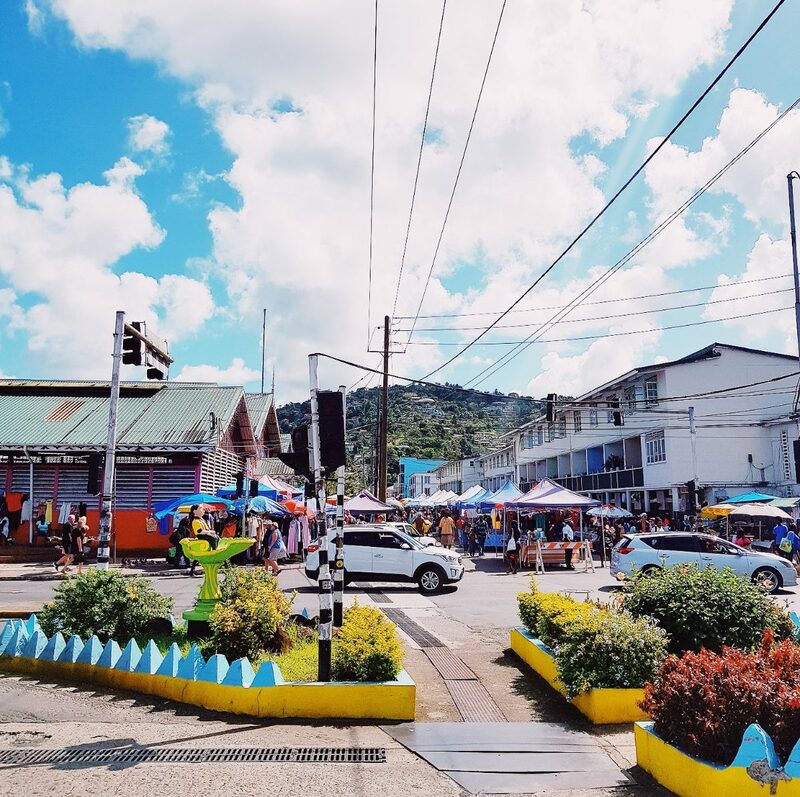 Jump Up is the weekly street party in Gros Islet which has been going for over forty years. There’s one DJ throwing out afrobeats and dancehall from 10pm until 2am from a street corner. 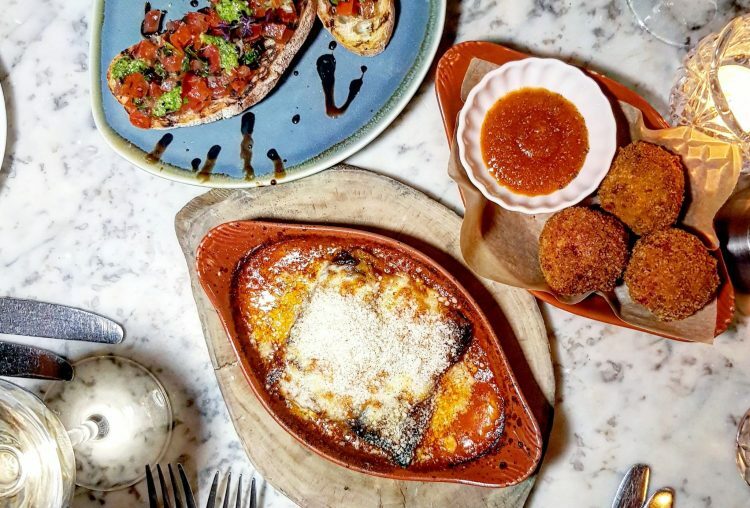 The restaurants and bars open to serve drinks, from local beers to rum punch (which is seriously delicious, and packed with a punch – you don’t need too many to get tipsy). There are food stalls and small jewelry stands towards the back too – although a little pricey. It’s fab to see everyone just having a great time dancing the night away to the beats (no dramas), although it does get a little raunchier towards the end of the evening. It’s actually quite funny to watch! We went from about 10.30pm until 2am, covered 17,000 steps purely from throwing out the moves and two-stepping, and had such a fantastic evening. It’s safe to say we ached for days! This will definitely be on our list every time we go! 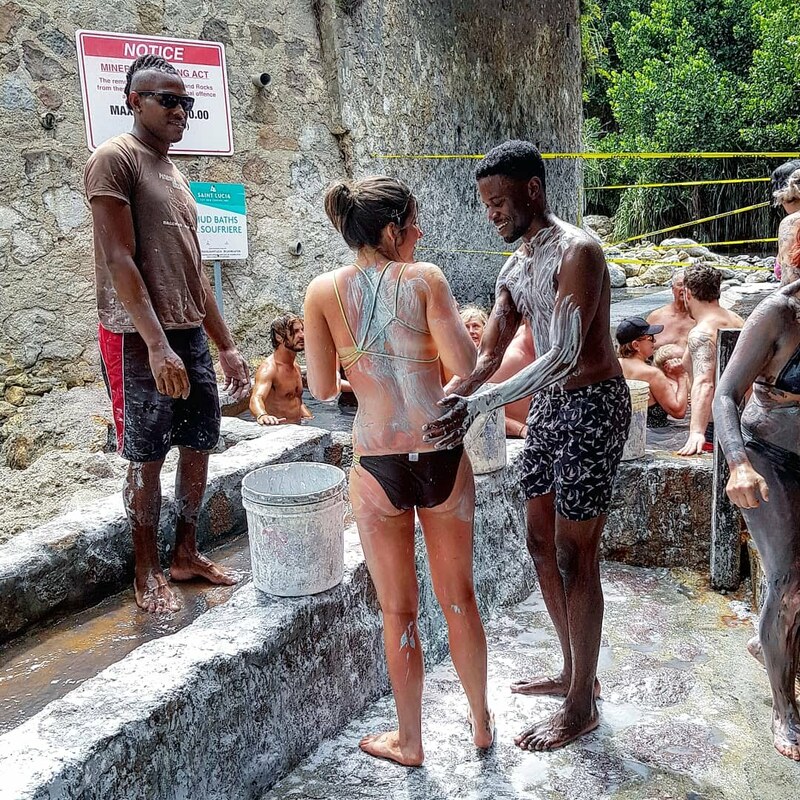 The sulphur springs can be found in the world’s only drive-through volcano in Soufrière. 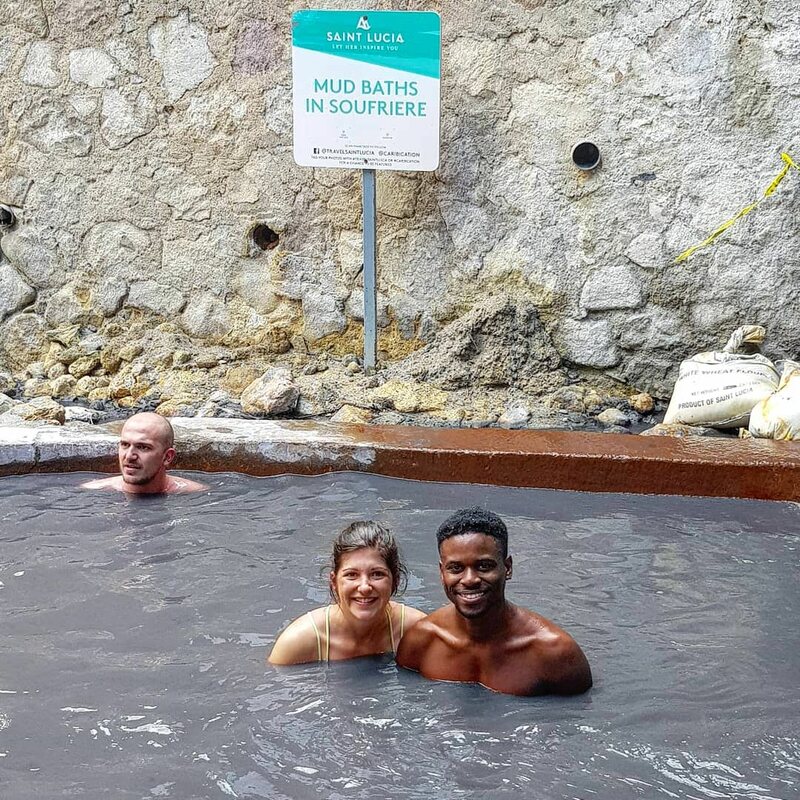 The mud baths attract many from afar, with the sulphur springs said to detoxify the body and help with sun burn, eczema, athiritis and more. But it’s not just this, it’s such a fun experience – our skin felt incredible afterwards! The hot pool/sulphur spring is used before and after coating up in the mud. We had a lot of fun getting dirty, before heading back into the pool – think really hot bath temperature! It’s definitely something I’d recommend. 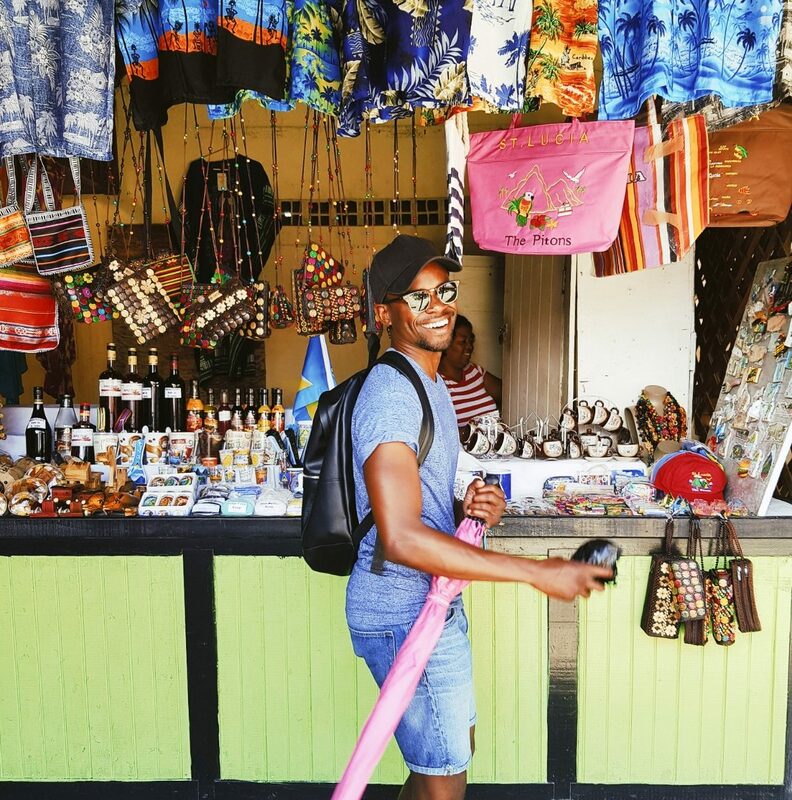 Chris goes back each and every time he goes out to St Lucia! It’s roughly $32EC, or £9, each for both the tour of the volcano and the baths, which is really good. 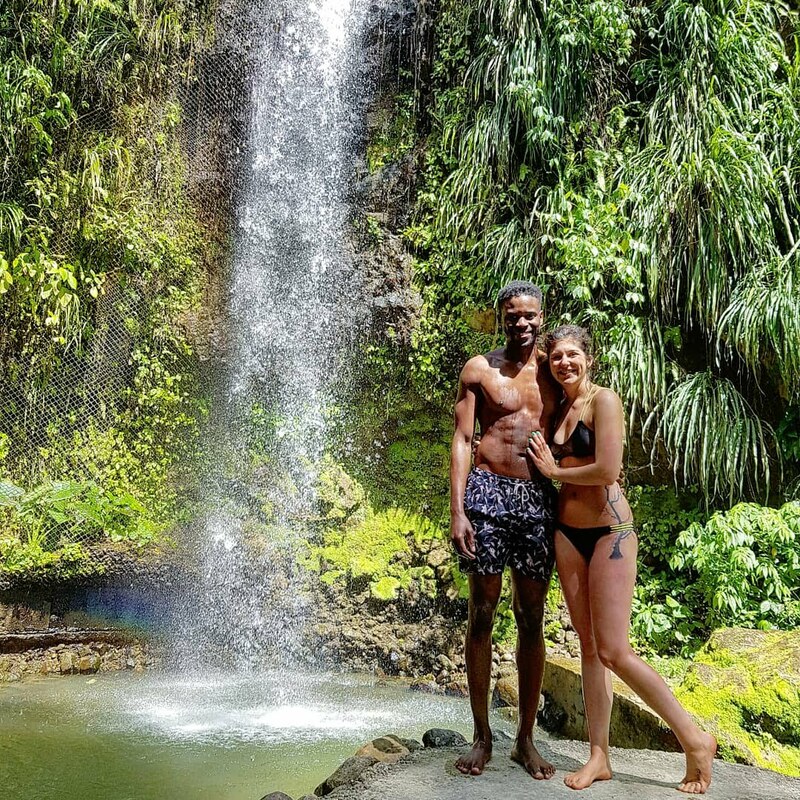 Toraille Waterfall in Soufrière is one incredible natural wonder. It plunges 50 feet from a cliff into the pool below. 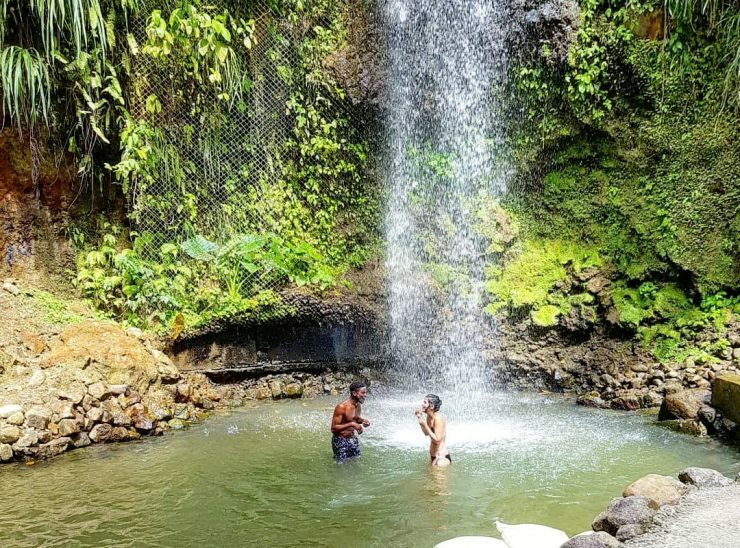 There is a man-made plunge pool, but it allows visitors to take a dip and stand under the falling water if they wish. There are changing rooms on-site, so you can easily nip into your swimming costume or get dry after taking the plunge. When we visited we were the only ones in the pool, and it honestly felt like we were the only ones in the World for a second. It was an amazing experience. Nothing like I’ve ever done before. I loved it. So powerful, so cold, incredible. At about $8EC, or just over £2 each, it’s a bargain for the experience! You can visit a number of these by doing a tour of the island. This is definitely one of the best decisions we made. 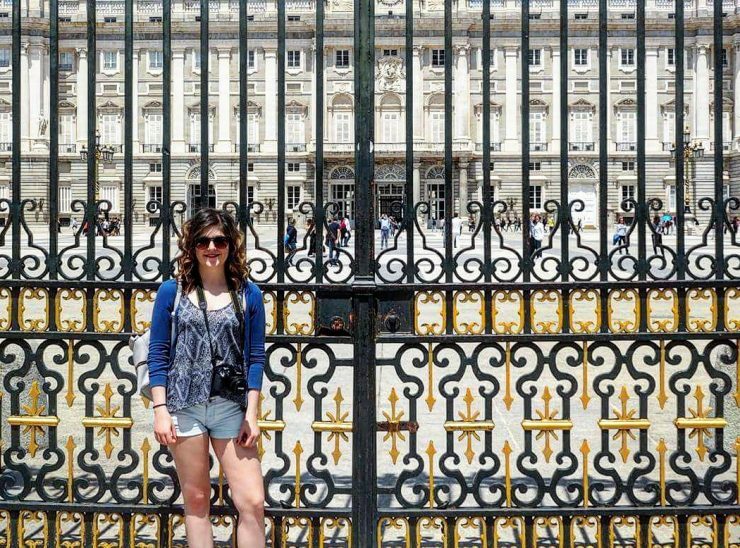 We got to see so much, soak up the culture and learn a thing or two along the way from our knowledgeable tour guide. 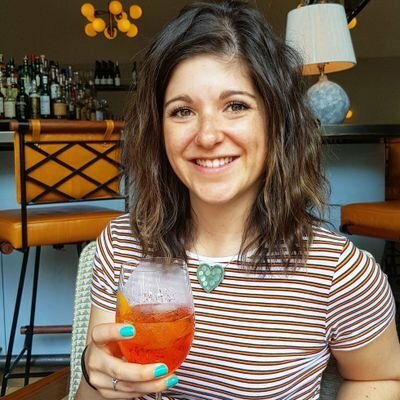 We really had the best day, and it’s 100% worth the money! 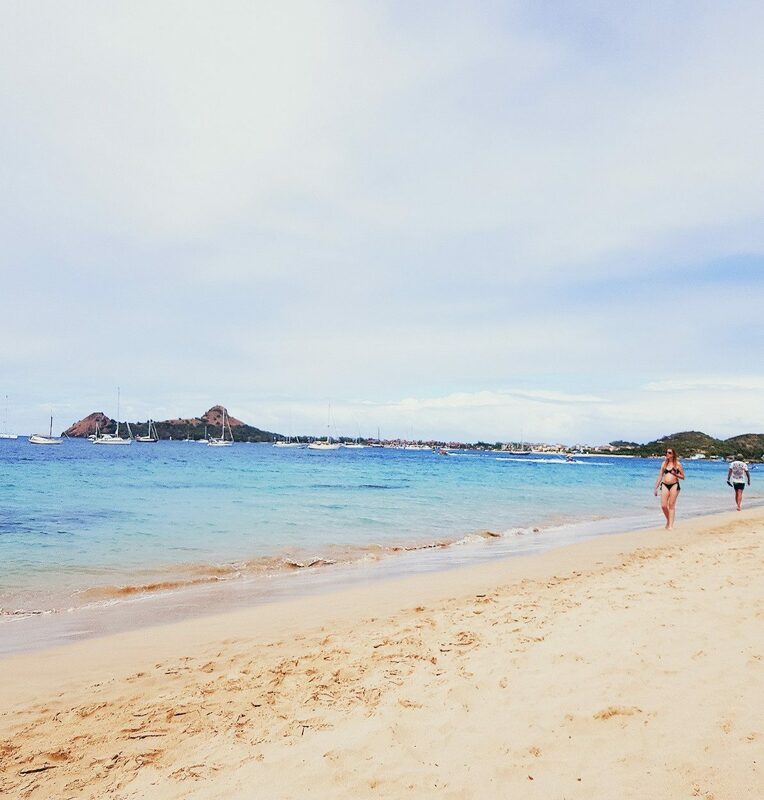 If you’re going to go to St Lucia, you should try to see as much as possible of the paradise island. 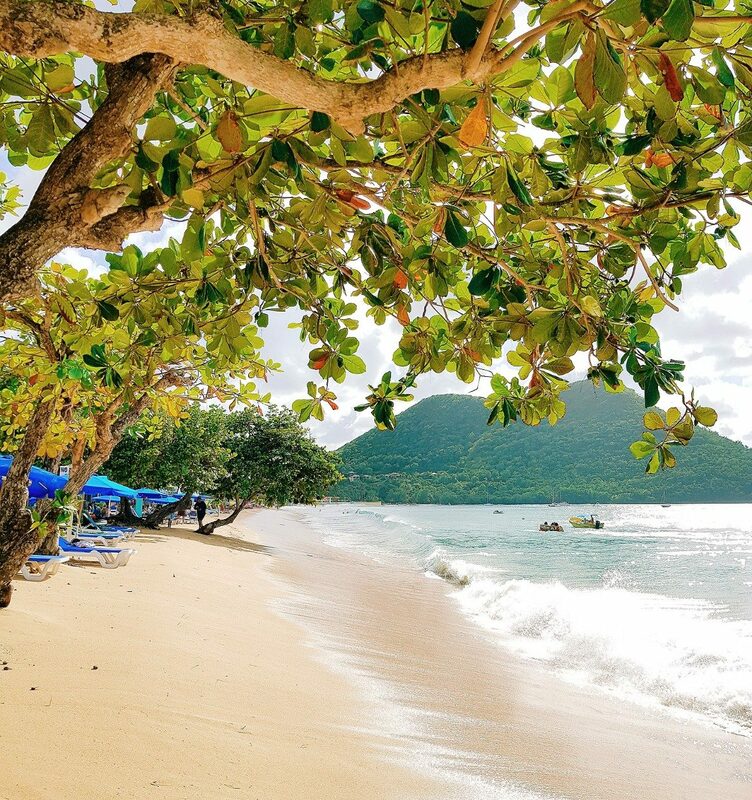 Just enjoy the feeling of paradise some more with a drink on the beach. 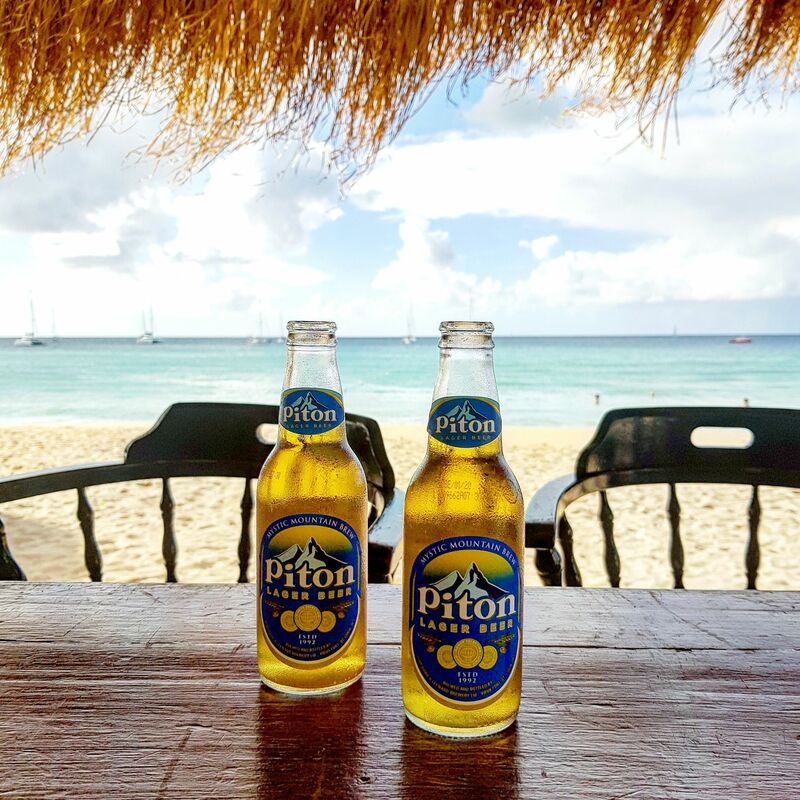 We went to Mahi’s, right on the front, for a couple of Piton beers. It was chilled and friendly with stunning views of the beach. 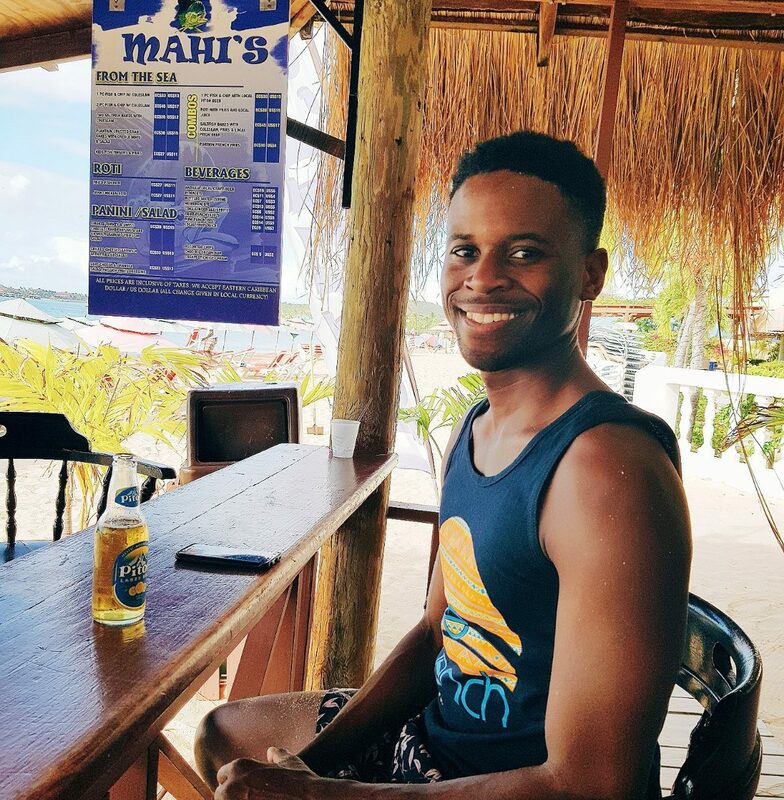 Beers are pretty cheap, and it’s a great spot for enjoying a little people watching or laughs a little further from the sand (sometimes you just fancy a little break from being constantly sandy). Alternatively, Massey, the supermarket, isn’t far from the beach. So grab a couple of drinks from their huge selection of alcoholic and soft beverages, and head to the shore with those. 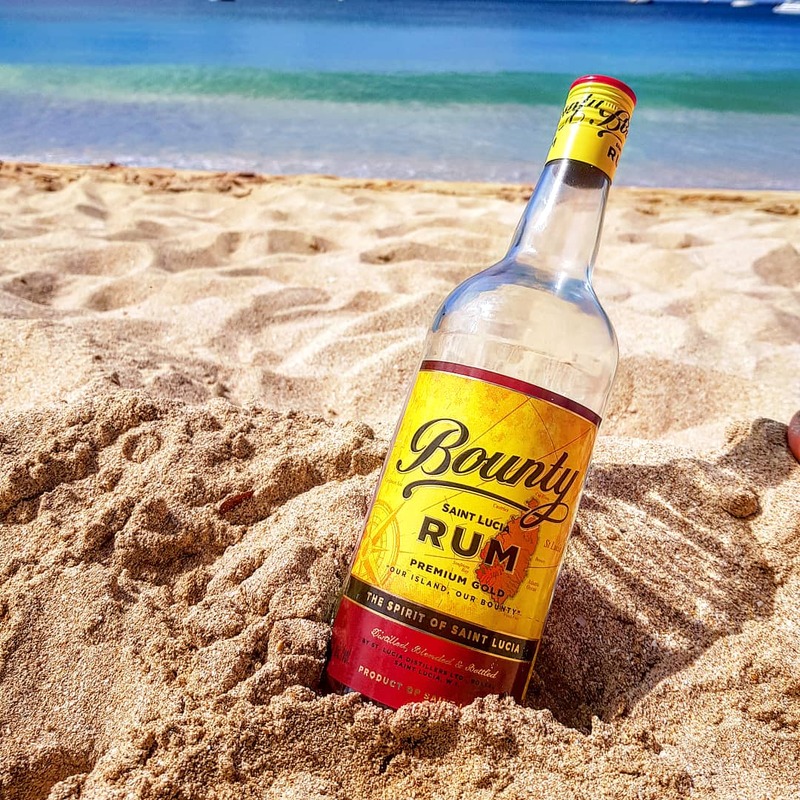 We spent our last afternoon drinking local bounty rum, sat in our swimwear, catching the last of the rays and giggling the day away. Absolute bliss. And that’s it. My top five recommendations. I hope these help if you’re planning or trip, or even make you now consider a holiday here – it really is paradise. Where’s the best place you’ve ever been?